NEW 2019 APRIL & MAY CPR Training class are now available! In this two hour course we will learn what to do if your child starts choking, becomes unconscious or stops breathing. 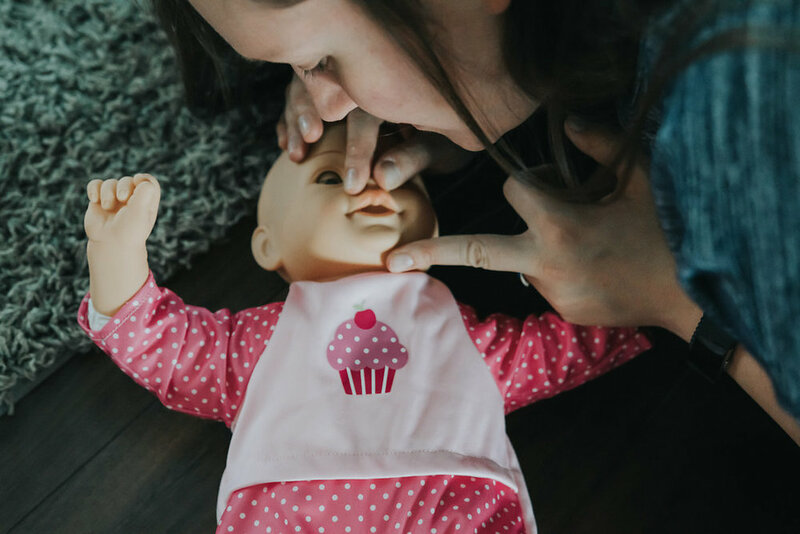 Everyone has their own doll to practice on and the goal of the course is to help each participant feel more comfortable should an emergency occur. This course is designed for parents and family members of young children (ages newborn to 8 years of age, approximately). No certification is applicable for this 2 hour workshop, but a small handout is provided. Jessica is a paramedic in the lower mainland and has been teaching first aid and CPR for over 10 years. She started offering this course in 2004 and enjoys teaching these life-saving skills to parents and family members. Jessica has 3 young boys; ages 9, 3 and 1.